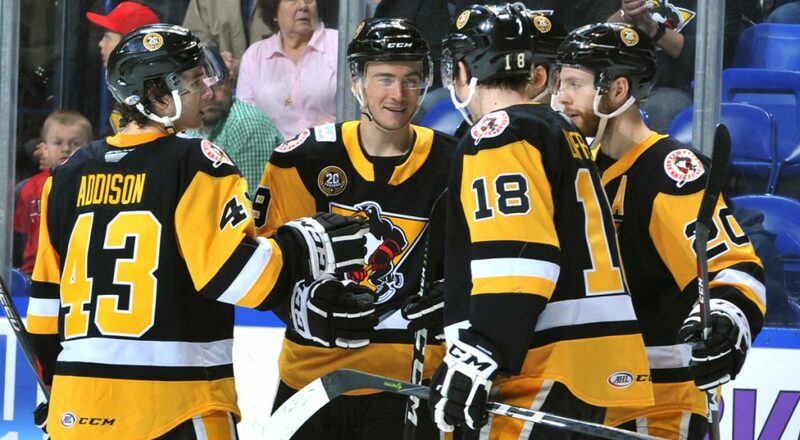 WILKES-BARRE, Pa. – Ryan Haggerty put forth a two-goal effort, but the Wilkes-Barre/Scranton Penguins fell to the Lehigh Valley Phantoms, 3-2, on Friday at Mohegan Sun Arena at Casey Plaza. Haggerty put Wilkes-Barre/Scranton (30-25-7-3) on the board in the first period, but the Phantoms responded with a pair of goals in the second frame and ultimately a game-winner 28 seconds into period three. 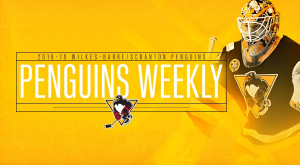 Tristan Jarry, who was making his 12th consecutive start for the Penguins, came up big early on an odd-man rush to keep the contest scoreless and swing the momentum in favor of the Penguins. 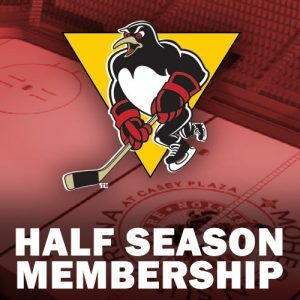 Haggerty broke into the Phantoms zone with speed and rocketed a wrister over the glove of Alex Lyon for the 1-0 lead at 7:06 of the first period. 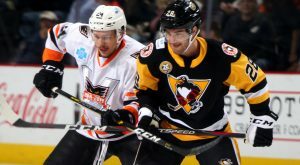 The Phantoms evened the scales at 8:36 of the middle frame with Nicolas Aubé-Kubel knocking in a backdoor pass from Philip Samuelsson just after the expiration of a man advantage. 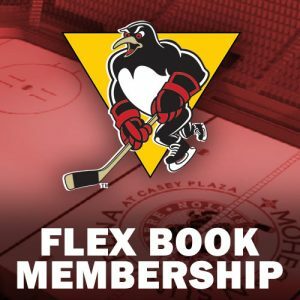 Chris Conner put Lehigh Valley on top, 2-1, with a crafty power move to get by a Penguins defenseman and drag the puck across the crease before sending it to the back of the net at 12:46 of the second period. Haggerty answered back in short order with his second strike of the night after accepting a brilliant pass at the net-front from Sam Miletic. 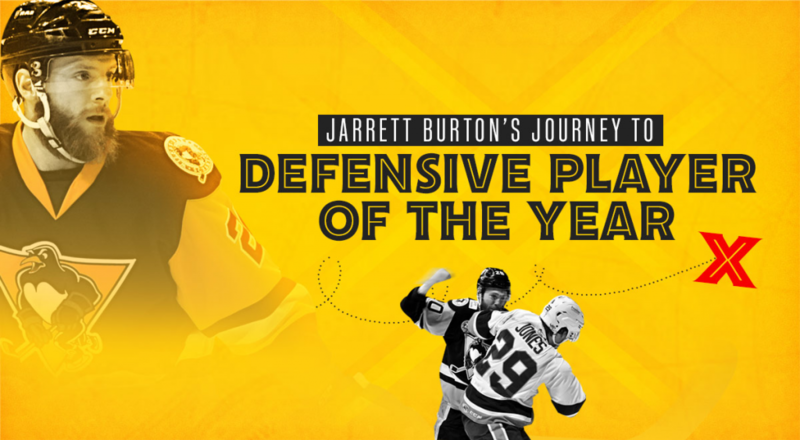 Lyon had left his crease to play a loose puck and turned it over to Miletic, who charged towards the net and feathered a drop pass to Haggerty who beat Lyon through the five-hole. Aubé-Kubel regained the lead for the Phantoms 28 seconds into the third period. Jarry refused the initial shot, but Aubé-Kubel found the unconfined puck in front of the net and lit the lamp for his second time in the game. The Penguins pressed hard in the remaining 19 minutes of regulation and hit two posts during that time, but no shots found their way across the goal line to knot the contest. Jarry made 29 saves in net for the Penguins, while Lyon turned aside 26 bids for the Phantoms. Wilkes-Barre/Scranton’s next game is tomorrow, Saturday, Mar. 23, when its takes on Lehigh Valley on its home ice at PPL Center. 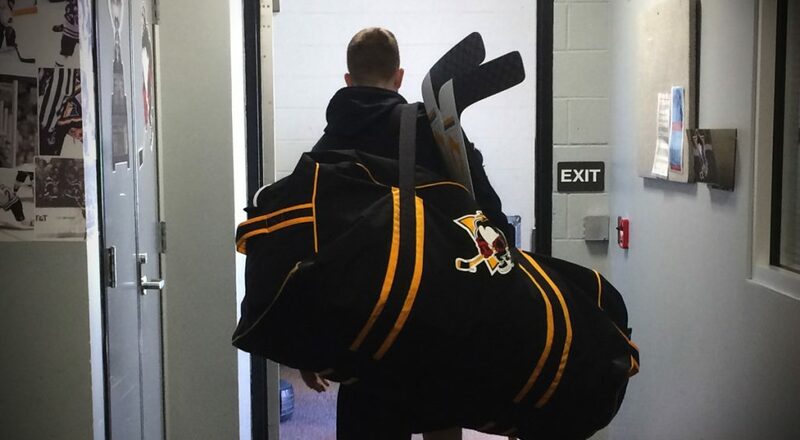 The Penguins’ next home game is Sunday, Mar. 24 against the Springfield Thunderbirds. 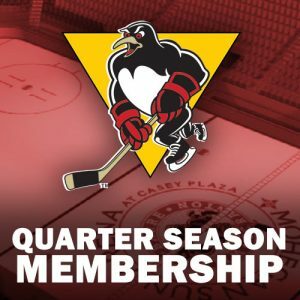 Puck drop between the Penguins and Thunderbirds is scheduled for 3:05 p.m.